In this comprehensive travel section, you will be able to book hotels, car rentals, air flights, bus trips, and vacation rentals, as well as current travel deals. To find the best New England vacation spots, we have also written original travel articles and tips extensively on New England travel destinations recommended by VisitingNewEngland.com and our New England friends. We hope you enjoy this section, filled with ideas from "the locals," as well as resources for your New England trip planning. By now, you've come to realize that we do things a little differently here at VisitingNewEngland.com. This page is no exception. Sure, you will find invaluable trip planning links to hotel, air, car, bus and vacation rentals. In that sense, we are like many other sites. But we just don't stop there: we write about New England in great detail through on an original travel article focusing on trip planning information and ideas. On this page -- and throughout the VisitingNewEngland.com site -- you can learn in an informative and entertaining way the "who, what, when, where, why and how" about our six-state region -- Connecticut, Maine, Massachusetts, New Hampshire, Rhode Island and Vermont. Unlike a book, we keep updating -- virtually on a weekly basis -- so you can be the beneficiary of ongoing travel and vacation information to help with your trip planning. New England is such a diverse and geographically large area that for the uninitiated, it's an overwhelming thought of where to begin when planning a vacation. To that we say, "Don't worry." We're here to help. After all, we have lived in New England our whole lives. We know good vacation spots when we see them, and will pass along the local tips to you! On this page, you will not only find a "jump start" trip planner section to help you easily plan and book your New England travel (located near the top of this page), but also detailed original articles and tips suggesting the best vacation spots in New England (read on). We believe for those not familiar with New England, the level of description here will provide you with what is often missing from other sites -- that is, personal perspectives to help you decide where to plan your New England vacation. Editor's note: If you are looking for information on hotels only, we recommend traveling to our New England Hotels Guide to streamline the process for you. Otherwise, enjoy our detailed New England trip planner guide below. Thanks! Below, you will find some suggestions for your New England trip planning that we think will make your vacation special. For more details on each suggestion, please use the search engine at the top right column to find more information on these wonderful New England travel destinations! 1. You can travel between the ocean and mountains within a few hours. Example: York Beach, Maine, to North Conway in the White Mountains of New Hampshire. And in Acadia National Park, Maine, you have the ocean and mountains in the same place! 2. Lobster is a New England specialty and many restaurants serve some of the best you'll ever have. Example: Warren's Lobster House in Kittery Maine, Ogunquit Lobster Pound in Ogunquit Maine, Wood's Seafood in Plymouth MA and Abbott's Lobster in the Rough in Noank CT.
3. Many of our cities not only offer attractions, dining, hotels and culture requisite for visiting a great city but also incredible historical preservation virtually everywhere you turn. Examples: Boston MA, Portland Maine, Burlington VT, Portsmouth NH, and Providence RI. 4. Speaking of historical preservation, many of our hotels in New England are eligible for, or listed on the National Register of Historical Places. 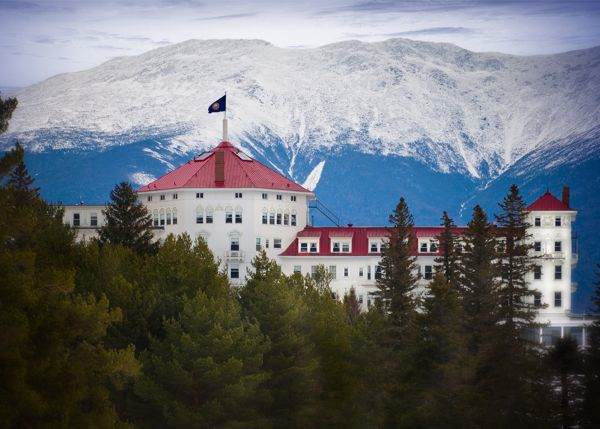 Examples: Red Lion Inn in Stockbridge MA, The Colony Hotel in Kennebunkport Maine, United States, The Fairmont Copley Plaza in Boston MA Omni Mount Washington Resort in Bretton Woods NH, Hotel Viking Newport in Newport RI, and the Middlebury Inn in Middlebury VT.
5. Sports fans can rejoice with professional teams like the Boston Red Sox (baseball), Boston Celtics (basketball), Boston Bruins (hockey), New England Patriots (football) and New England Revolution (soccer). 6. We have some truly amazing country stores, including the Vermont Country Store in Weston VT, Gillingham's in Woodstock VT, the Wayside Country Store in Marlboough MA, and Zeb's in North Conway NH. 7. You'll have your choice of excellent New England ski destinations including Jay Peak. Mt. Snow, Stowe and Okemo in Vermont, Cranmore and Wildcat in New Hampshire, Sugarloaf in Maine and Mt. Wachusett in Massachusetts. 8. Boston features some world-class museums like Museum of Science, Museum of Fine Arts Boston and New England Aquarium. 9. There are some beautiful islands ideal for a vacation getaway like Martha's Vineyard and Nantucket (Cape Cod), and Block Island in Rhode Island. 10. If a challenging mountain climb is your forte, destinations like Mt. Washington in the White Mountains of New Hampshire, Mt. Katahdin near at Baxter State Forest Maine offer great hikes and incredible views. 12. Love outlet shopping? We have one of the best in the United States with the Wrentham Village Premium Outlets in Wrentham MA. 13. You'll find some fabulous waterfront dining while feasting on fresh, local seafood. Examples: Barnacle Billy's in Ogunquit Maine and Mattakeese Wharf in Barnstable MA (Cape Cod). 14. If you are into the witch culture, be sure to visit Salem MA, known as the "Witch City." October is a great time to visit with the month long Haunted Happenings celebration with many events and attractions. 15. While diners can be found anywhere in the United States, you can find some great ones in New England featuring regional cuisine. Examples: The Wickford Diner (quahog chowder, anyone?) in Wickford Village RI and the Maine Diner in Wells Maine. 16. We have some fantastic amusement parks like Six Flags in Agawam MA, Canobie Lake Park in Salem NH, and Lake Compounce in Bristol CT.
17. New England also features some outstanding zoos like Roger Williams in Providence RI and Southwick's in Mendon MA. 18. If you prefer lake or pond swimming over the ocean, we have wonderful places like Walden Pond in Concord MA and Echo Lake in Franconia State Park, NH. 19. New England has some classic historic carousels that you can ride like the Paragon Carousel at Nantasket and the Ancient Flying Horse Carousel in Watch Hill RI. 20. The mansions in Newport RI are very well known and definitely worth a tour. These are spectacular homes! 21. We have some famous fun fall fairs like The Big E in West Springfield MA, the Topsfield Fair in Topsfield MA, the Fryeburg Fair in Fryeburg Maine. 22. While on the subject of fall, people come from all over the world to check out the spectacular fall foliage along the 34 mile Kancamagus Scenic Byway in the White Mountains of New Hampshire. 23. There are many small inland New England towns that represent classic New England (town common, church with tall white steeple, historic buildings etc.) with little hype. While you won't find them readily mentioned in popular travel guides, these communities are definitely worth visiting. 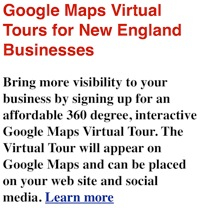 Examples: West Brookfield MA, Wickford Village RI, Woodstock CT, Milford NH, Townshend VT.
24. The same holds true with these underrated coastal towns that don't get a lot of press: Stonington Borough CT, Noank CT (part of Groton), Northeast Harbor Maine, Onset Village MA (part of Wareham), Cohasset MA, Rye NH. 25. We feature some amazing beaches at the ocean including Long Sands Beach in York Beach Maine, Old Orchard Beach Maine, Hampton Beach in Hampton Beach NH, Nantasket Beach in Hull MA, Scarborough Beach in Narragansett RI and Hammonasset Beach in Madison CT. Perhaps the best destination is Cape Cod National Seashore, spanning 43,500 acres across Cape Cod! 26. New England features some wonderful state parks like Colt State Park in Bristol RI, Mt. Greylock State reservation in the Berkshires, and Franconia State Park in the White Mountains of New Hampshire. 27. If you like riding bike trails, you won't be disappointed with destinations like the Minuteman Bike Path (Cambridge to Bedford MA) and the East Bay Bike Path (Providence to Bristol RI). 28. Get to know the origins of the American Revolution by visiting Concord and Lexington MA, as well as the Freedom Trail in Boston MA. 29. You'll find some terrific free food and drink tours. Examples: Ben and Jerry's in Waterbury VT, Sam Adams Brewery in Boston and the Cape Cod Potato Chip Factory in Hyannis MA. 30. Be sure to tour some of our cities that are on the rebound and have so much to offer. Example: New Bedford MA with its 11 block Whaling District featuring cobblestone streets, gas lamps, attractions like the New Bedford Whaling Museum and excellent dining and shopping opportunities. 31. New England has a good number of kids attractions like Santa's Village in Jefferson NH, Storyland in Glen NH and Edaville Railroad in Carver MA. 32. We also offer some excellent water parks like Water Country Water Park in Portsmouth NH and Water Wizz in East Wareham MA. 33. Traditional New England restaurants abound, including the Salem Cross Inn in West Brookfield MA, the Old Mill in Westminster MA, Griswold Inn in Essex CT, The Kingston 1686 House in Kingston NH, and Longfellows Wayside Inn in Sudbury MA. 34. You'll find some amazing Christmas holiday celebrations and attractions like the Christmas Prelude in Kennebunkport Maine, Enchanted Village at Jordan's Furniture in Avon MA, The North Pole Express at the Essex Steam Train in Essex CT and Christmas by Candlelight at Old Sturbridge Village MA. 35. You can experience an authentic Thanksgiving gathering (and dinner) at Plimoth Plantation in Plymouth MA. 36. Discover the Tanglewood Music Festival in the summer featuring world-class musicians performing at a beautiful Berkshire Mountains setting in Lenox MA. 37. Check out Central Massachusetts, an often overlooked travel destination in new England. Some worthy attractions are the Ecotarium science museum in Worcester, Worcester Art Museum, Brimfield Flea Market (largest in the country), Quabbin Reservoir (amazing scenery), Brookfield Orchards (apple picking, country store), Davis FarmLand and Megamaze in Sterling, Old Sturbridge Village in Sturbridge and Southwick's Zoo in Mendon. 38. Enjoy the great Main Streets of New England. You can check out some of the best at our Pinterest pin board at http://pinterest.com/newenglandfun/main-streets-new-england/. 39. Visit one of our spectacular lighthouses including Nubble Lighthouse at Cape Neddick Maine, Portland Head Light at Cape Elizabeth Maine, Block Island Southeast Lighthouse at Block Island RI, and Portsmouth Harbor Lighthouse in Portsmouth NH. 40. Catch an incredible sunset. Some best places are Cadillac Mountain at Acadia National Park (view of island, Bar Harbor, hills), Ocean Drive in Newport RI, and Cape Cod National Seashore on Cape Cod. 41. Experience some upscale oceanfront lodging at places like the Samoset Resort in Rockport Maine, Wentworth by the Sea in New Castle NH and Wequassett Resort and Golf Club in Chatham MA (Cape Cod). 42. Learn about the fishing culture and pay tribute at the Fisherman's Memorial in Gloucester MA. 43. Visit quaint Deerfield, MA, where you'll find a mile of classic Main Street homes -- around 80 originally built in the 18th and 19th century. 44. Take advantage of the cultural attractions offered at world famous colleges and universities like Harvard in Cambridge MA, Boston University in Boston MA, Yale in New Haven CT, and Brown University in Providence RI. 45. Explore the "real Cape Cod" on the 34 mile stretch of Route 6A where you'll find ocean and marsh views, older captains homes, unassuming mom and pop stores, and a slower pace of life. 46. For incredible panoramic views of Boston and the outlying areas, be sure to visit the Prudential Skywalk Observatory near the top of of the Prudential Building in Boston. 48. 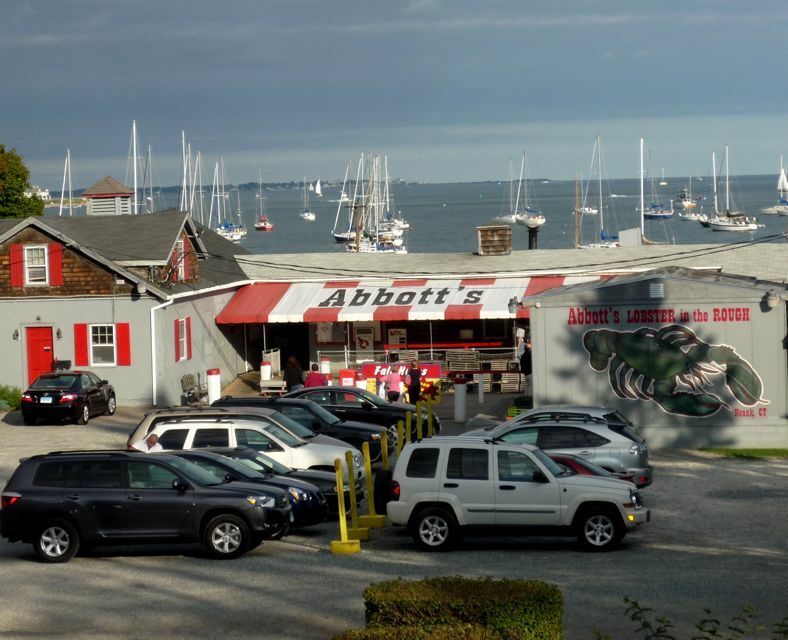 Enjoy visiting one of the many clam shacks in New England, including Woodman's in Essex MA, The Clam Box in Ipswich MA and Bob's Clam Hut in Kittery Maine. Here, you can enjoy delicious fried clams and a cup of New England clam chowder. 49. Take an lake or ocean boat cruise from scenic places like Lake Champlain in Burlington VT, Woods Hole Cape Cod, or Plymouth Harbor in Plymouth MA. Kimball Terrace Inn, Northeast Harbor, Maine Kimball Terrace Inn is located in Northeast Harbor, Maine, a secluded Mt. Desert Island community featuring a beautiful protected body of water surrounded by hills. Kimball Terrace, with its blessed scenic location minutes to beautiful Acadia National Park, offers clean, spacious motel rooms, most with a private balcony and a view of the Town Green and Harbor. This long-time family-owned business also offers the the Main Sail Restaurant serving breakfast, lunch and dinner, as well as an outdoor pool, and cozy family room with big picture windows of the not-too-distant harbor. This pleasant room offers board games, e-mail access, and cable television. Kimball Terrace is really the perfect foundation for an Acadia National Park vacation -- a place I've personally been going to with great memories and all since the early 1970s. It's quite reasonably priced, too, especially around prime travel times like Memorial Day Weekend and the fall foliage season. Alouette Beach Resort, Old Orchard Beach, Maine Alouette and Beachwalk caters to families, is located on the beach and is close to all the components that make Old Orchard Beach a perrenial favorite New England family travel destination -- arcades, carnival rides, and shopping and dining scene at the famous oceanside Pier. Ocean, beach, shopping, dining, fun and games -- what more could you ask for in a summer vacation? The Beacon Resort, Lincoln, New Hampshire A traditional favorite in the heart of the scenic and attractions-filled White Mountains of New Hampshire, the Beacon Resort features two outdoor pools, two indoor pools, jacuzzi s, Dad's Restaurant, and a children's playground. Close to Mt. Washington (the highest New England peak at 6,288 ft.), and famous New Hampshire attractions like Storyland, Santa's Village, Clark's Trading Post, Whale's Tales Water Park, Conway Scenic Railroad, Loon Mountain for great winter skiing, and the Kancamagus Scenic Byway for fantastic fall foliage. Anchorage Inn York Beach, York, Maine The mammoth Anchorage Motel offers some of the best family lodging in the area. This year-round resort has an indoor pool for any times of the year and one of nature's great outdoor pools and playgrounds in the form of the Atlantic Ocean and some ideal sandy beach stretches right across the street. Many rooms have splendid ocean views with balconies. Also across the street is the Sun 'n Surf Restaurant with some of the greatest restaurant views of the ocean that we've experienced. The seafood is very good, from basic cod to Maine lobster and and an excellent clam chowder. They also make a wonderful blueberry pie with Maine blueberries! The Anchorage Inn also has a fitness room and meeting facilities. Rooms range from basic to upscale, the latter with private whirlpools and larger square footage. For a true taste of the pulse of one of New England's greatest ocean towns, the Anchorage puts you right into the action, given its perfect location and reflecting the Down East hospitality that is such a special aspect of York. Smugglers Notch Resort, Jeffersonville, Vermont Smugglers Notch, located near the idyllic Village of Stowe in the heart of the Green Mountains, features the best of Vermont family lodging. I know, having come here many fall seasons since the early 1970s. Here, you have some many options in a beautiful Vermont scenic mountain setting -- peace, quiet, tranquility, beautiful surrounding mountains, 360 degree scenery, cool, crisp hiking trails, tennis, a swimming pool, whirlpool, miniature golf, skiing (60 runs and a vertical drop of 2,610 ft.), cross country skiing, skating, massage, yoga, a driving range, a small grocery store, dining, movies and diverse entertainment. You could spend an entire family vacation at Smugglers' Notch and not go anywhere else! Aptly named "America's Family Resort!" To fully appreciate the charm of New England, consider an inn or bed and breakfast as a foundation to your unique New England vacation. A bed and breakfast will offer a free breakfast as part of the entire package. Inns don't usually provide a free breakfast -- although you'll find some with a basic continental breakfast -- but can sometimes feature dinners at a separate charge. Much like New England, both inns and bed and breakfasts are often full of historic character, so you can't go wrong with the higher quality establishments of these genres! Many inns and bed and breakfasts do allow adults to bring their children, but first read the details of each inn and bed and breakfast first to make sure it's OK. If not, it might be best to seek out a hotel, motel or resort that is more family-friendly. We believe you are sure to find your perfect New England hotel destination as we offer more than 3,000 lodging options throughout Connecticut, Maine, Massachusetts, New Hampshire, Rhode Island and Vermont! Red Lion Inn Stockbridge (Massachusetts), Stockbridge, Massachusetts In the heart of the charming town that Norman Rockwell made famous, the Red Lion Inn just resonates with New England charm the minute you arrive at the glorious front porch where guests relax. The Red Lion Inn features 108 rooms, a restaurant, a heated outdoor pool and hot tub, and gift shop. In continuous operation since the 18th century, the Red Lion Inn is a member of the Historic Hotels of America and belongs to the New England Innkeeper and Resorts Association and Original Historic Inns of New England. Beautiful place! Publick House Historic Inn, Sturbridge, Massachusetts Known for its Yankee hospitality and a terrific restaurant with regional fare (baked scrod, chicken pot pie, Thanksksgiving turkey dinners, lobster pie), the Publick House -- in operation since the early 1800s -- is located at the quaint Sturbridge Village Green. It is also minutes from Old Sturbridge Village, a marvelous outdoor museum of rural New England's past. Located in central Massachusetts, you'll find many charming beautiful little, village green towns near the Publick House, including West Brookfield, Brimfield, Barre, and Woodstock, CT.
Inn at Woodstock Hill, Woodstock, Connecticut Built in 1816, The Inn at Woodstock Hill in Woodstock, CT, is one of our favorite quaint inn getaways in New England. This charming Federal/Georgian-style mansion provides a quiet, romantic setting to relax in the underdeveloped, scenic section of Connecticut called the "Quiet Corner." The surrounding area, with rolling hills, winding country roads, antique shops (especially in Putnam) and unspoiled scenes of quintessential village green towns make the Inn at Woodstock a great foundation for the type of romantic getaway vacation you deserve. The rooms are unique and feature furnishings and antiques reflective of the inn's historic presence. Some rooms offer fireplaces, definitely a plus for a romantic getaway! The Inn at Woodstock Hill also features a high quality restaurant that Connecticut Magazine awarded "Best Hotel Dining" and "Best Brunch." Wolfeboro Inn, Wolfeboro, New Hampshire Located in Wolfeboro on the eastern shores on Lake Winnipesaukee, the Inn at Wolfeboro is located in one of the nicest lake towns in New Hampshire. Just a stone's throw from the lake and appealing downtown shops and restaurants, the Inn at Wolfeboro combines the best of the old and new -- it was built in 1812 and recently underwent a multi million dollar renovation. The new "old" look is quite appealing, including the cozy Wolfe's Tavern. Wolfeboro, by the way, is known as "Oldest Summer Resort in America," and with good reason: it's relaxing, scenic and interesting without being boring. Woodstock Inn and Resort, Woodstock, Vermont This classic Vermont inn, located in the heart of picture-perfect Woodstock, features Georgian-style architecture and many rooms and suites with fireplaces, three restaurants, and most importantly, a location close to the tall white steeple, village green look of this still not-overly commercialized town. Maple Hill Farm B&B Inn, Hallowell, Maine Augusta might not be the garden spot of America, but close by is the Maple Hill Farm B&B located on 116 acres in historic Hallowell. The receiver of many awards, accolades and positive reviews, the Maple Hill Farm B&B features many of the room amenities of a high caliber inn -- like hot tubs, outdoor decks, and whirlpools. There's even a spring fed pond for swimming! People have always been magnetized to the New England sea for its rejuvenating effects, stunning coastal scenery, those proverbial walks on the beach and the chance to experience some of the best seafood in the country. We especially like York Harbor, Maine. It's so picturesque with the harbor and grand views of the Atlantic Ocean-- the way you would envision coastal Maine or what you would see on a postcard. York Harbor is near the more boisterous York beach with a great stretch of beach at Long Sands, the famous Nubble Lighthouse at Cape Neddick, and the downtown with family-oriented Short Sands Beach and many shops, restaurants and attractions like York Kingdom with its zoo and amusement park. Nearby Ogunquit, Maine, is more sophisticated and perfectly manicured, as a colorful garden walk through Marginal Way provides stunning views of the Atlantic Ocean. Perkins Cove is an artist's haven and has some of New England's best known seafood restaurants like Barnacle Billy's and the Hurricane. The beach off the downtown is without a doubt one of the most spectacular in New England with its seemingly endless, pure Maine view of the Atlantic Ocean and enough sand to call your own -- even on a busy day. Chatham, Massachusetts, represents Cape Cod at its finest. It's traditional, has not sold out to the commercialism that has ruined parts of Cape Cod, and offers access to beautiful Atlantic Ocean beaches where the water seems more blue and the air has that special refreshing salt flavor. The downtown features many nice local shops, and restaurants like the Captain's Table that serve the fresh catch of the day. It is a perfect romantic getaway for Mom and Dad! Bar Harbor Maine in the mid-eastern coast of Maine is a popular launching pad for Acadia National Park, a true nature's paradise with a fascinating combination of ocean and mountains. Bar Harbor gets busy, but has an appealing small-town charm, plenty of great seafood restaurants and proximity to "The Loop" in Acadia National Park, surely one of the great scenic attractions on the east coast with pristine waters, forests, hills and mountains is unlike anything you've ever seen. Westerly Rhode Island, is one of New England's best kept secrets with three distinct areas -- the downtown, Watch Hill and Misquamicut Beach. The restored downtown features the 18-acre Victorian Wilcox Park, 55 buildings on the National Register of Historic Places, myriad dining options, a theater and lively arts scene, big old homes and an aggressive preservation so impressive that the National Trust for Historic Preservation's named Westerly as one of the "12 Most Distinctive Destinations" in the country. There is not one chain store in sight. Watch Hill is rather private and secluded, but a lovely oceanside neighborhood with great views, fine shops, a few dining options, amazing sea captain's homes, one of the oldest working carousels in the country, and an old-fashioned aura from yesteryear. Misquamicut is more live wire, a stretch of beach with a water park, arcade games, miniature gold, seafood restaurants, concerts, movies on the beach on summer nights and an overall family atmosphere. We strongly recommend visiting Portland, Maine, (pictured left), Providence, Rhode Island(center), Boston, Massachusetts, (right) and Burlington, Vermont, (not pictured) if interested in visiting New England's best cities. Portland acts more like a small town with its beautiful brownstones and tree-lined streets, but here you'll also find fine hotels, dining, a growing arts scene and wonderful coastal charm. Providence came out of nowhere to become what some say is one of America's great mid-sized cities. The Ivy league charm of College Hill (Brown University), myriad activities by the river at Waterplace Park (including romantic boat rides), the Italian charm and dining at Federal Hill and the sparkling, modern Providence Place Mall make Providence a terrific place to visit. Boston is one of the world's great cities, an incredible mix of the old and new -- historic Faneuil Hall Marketplace with its brick-walkway dining and shopping options, the Freedom Trail, the European flair of Newbury St., the authentic Italian life in the North End and enough museums and other cultural opportunities, to name a few. Burlington features the wonderful Church Street Marketplace, an outdoor oasis with more than 50 shops as well as diverse restaurants, street vendors, seasonal festivals and entertainers. The nearby waterfront section affords beautiful views of Lake Champlain and New York's Adirondack Mountains and offers a terrific walking/bike path, restaurants, ferry crossings, cruise boats, concerts, a Fourth of July fireworks celebration and other events. A "green" city with a healthy dose of liberalism dedicated to city beautification, health and wellness resources, and strong political views, Burlington is certainly not a dull city. It may be, in fact, New England's most complete college town as visitors have the benefit of finding things to do often found in larger cities, while enjoying a small-town feel.